Children should always be encouraged to express feelings and emotions. At times, however, this expression may manifest in ways that encroach on misbehaviour and defiance. What parents sometimes do not realise is that their own response, to their child’s emotional outburst, can make misbehaviour worse. 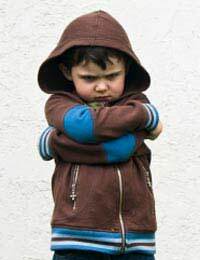 Understanding that there are effective ways of controlling defiance, and improving behaviour, will ensure that a child’s emotions are always willingly encouraged and rewarded. Controlling how your child behaves and expresses anger and frustration should be in response to the child’s personal circumstances. There is however, a fine line between what is considered to be discipline and what a child may acknowledge as punishment. It is therefore important to understand the difference between these controlling and managing factors before they are put into place, as a child’s self-confidence can be greatly affected by the incorrect implementation of the punishment tool. Manipulation, through suggestion, consequences and rewards all affect children in a negative manner over time. Forcefully talking to your child, about their misbehaviour, also creates a negative vacuum, which results in little change in their actions but more parental frustration. Controlling behaviour and defiance requires swift action. This means setting a limit to free expression before you need to take action to control the level of response. Allow your child to openly express him/herself and to feel confident and comfortable in acting in ways that increase self-awareness. By setting a limit on how much, or how long, the behaviour is allowed to go unchecked, you will be able to maintain control of discipline before defiance gets free rein. In order to provide good support you should balance the setting of a limit with listening time, so that your child is able to openly express anger and frustration in a manner that enables you to achieve understanding of the problems or issues that are being expressed. You will therefore have to ensure than your child has your undivided attention throughout the period of listening practice. Defiance generally manifests when one’s needs are not fully understood, accepted or met. This causes a disconnection in the defiant child’s mind and creates a pattern of misbehaviour that quickly spirals out of control. Learning how to best connect with your child, during periods of disconnection, will enable a parent to get a better understanding of their child’s needs. Providing a safe, supportive environment and attitude is the key to exploring and reducing disconnection. The tone of voice you use, with your child, should be warm and relaxed as this will encourage eye contact and physical response. It is important not to react to the child’s behaviour whilst you reconnect, as the focus of this period of time is on allowing your child to express emotion as a release of frustration. The more rage and tears that surface the closer to completion your child will be, so it is important to allow sufficient time for full expression of emotions and feelings when you are working through reconnection. After all the feelings have been expressed, and your child is able to control their behaviour, you will be able to connect and deal with your own thoughts and feelings. With continued use of this practice your child’s defiance can be successfully accepted and managed.